5 Apple AirPods 2 Tips and Tricks You'll Wish You Knew Sooner. You are here: Home / Weekly Columns / Opinion / 5 Apple AirPods 2 Tips and Tricks You’ll Wish You Knew Sooner. (ThyBlackMan.com) If you use AirPods, you should know these Apple AirPods 2 tips and tricks. The company recently introduced the second-generation earphones which are now available for purchase. Before we go ahead and talk about the new AirPods, here’s what you need to know. Apple AirPods vs AirPods 2 – What’s the difference? In terms of design, both the first generation AirPods and the newly introduced ones are the same. Apple has added an LED indicator on the front of the charging case that indicates charging status. The major improvements come in the hardware. Apple has replaced the W1 chip with a new H1 chip that also powers Powerbeats Pro earphones. The H1 chip makes pairing two times faster and improves call connectivity by 1.5 times. Apple has also confirmed 50 percent more talk time for the second-generation earphones. AirPods 2 now support Bluetooth 5.0 and Hey Siri, so you don’t need to double tap the device to change songs or play/pause music. The overall sound quality is the same. 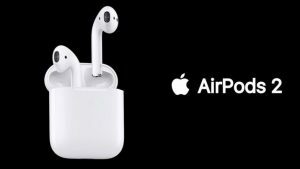 Let’s learn about some of the most useful Apple AirPods 2 tips and tricks that can help improve your overall experience with the second-generation Apple earphones. With the first-generation AirPods, you had to set up Siri if you wanted to avoid pulling your Apple iPhone out of your pocket. With AirPods 2, you don’t have to do this as the earphones now support Hey Siri functionality. Now there’s no need to tap your AirPods to activate Siri as you can activate it with a voice command. This is the easiest way to use your AirPods 2 hands-free. Though AirPods are designed for the iPhone, the wireless earphones also work with Android phones and tablets. You can enjoy the sound quality of Apple AirPods even if you’re an Android user. The functionality of AirPods 2 on Android is limited, but you can still use the double tap feature to play or pause the music. Siri and other features like automatic switching between devices, ear detection, and single AirPod listening are not available on Android. The main advantage of using AirPods 2 on Android is longer Bluetooth range. Now you know that AirPods 2 can be used as hands-free earphones, but sometimes you still need to check your iPhone, especially when someone calls you. Unlike, Apple Watch, your earphones can’t tell you who’s calling, so here’s simple AirPods 2 trick that can help you. By setting up call announcements on AirPods, you can know who’s calling as long as the caller’s name is added to your address book. On your iPhone, go to phone settings and select call announcements. Now choose the headphones only option, so that you will hear the caller’s name when someone calls you. The LED indicator now sits on the front of the charging case. When you put AirPods in the charging pockets, the LED light will show the status of charge of your AirPods. If you take the earphones out of the case, the LED will show the charge status of the case. You can also use your iPhone or iPad to check the battery status of your AirPods with this simple trick. Create a battery widget on your device from the widgets page and from there you can check the battery life of your connected devices. Although AirPods 2 support Hey Siri functionality, there are times when you can’t use a voice command to control the music. Tapping your AirPods is another way to play or pause the music, but it is not a convenient solution. Tapping the earphones sometimes makes them fall out of ears. To avoid this on your AirPods, here’s a simple trick – tap your ear instead of tapping AirPods. Your earphones will still recognize the touch gesture and will function as you expect.